We are enjoying a three day holiday weekend in the United States to celebrate Memorial Day. I have taken the opportunity to get out and do some photography. For various reasons, I have not been able to get out the last couple of weeks and have been using photos from the first two weeks of the month to fill out the blog. Here is what I have been able to photograph so far. I started out my weekend with an early morning at the Beaver Lake Nature Center. The hope was to get some good sunrise lighting and colors. The weather, while warm and dry, had not cleared off the clouds from the passing cold front from the day before. I wasn’t too disappointed as I took the time to enjoy being away from the rat race of work. The sounds and smells of life on the small lake renewed my soul and opened up my mind to this photo. Early morning on Beaver Lake. Taken with a Nikon D70 and 18-200VR camera and lens at 1/15s, f/14, ISO 200, EV +0.7, 18mm focal length and tripod. That evening I drove up to Oswego, New York for dinner. My lucked changed and I was treated to a beautiful Oswego sunset over Lake Ontario. If you are a photographer in central New York, you will eventually be taking photographs of the Oswego Harbor West Pierhead Lighthouse. Not sure if other photographers would walk through a Revolutionary War cemetery circa 1776, over active railroad tracks, tiptoe past a skunk, climb down a steep trail and over loose rocks to get to the place I photographed the lighthouse from. 🙂 See my flickr photostream for another photo of the lighthouse. This photo makes it three years running that I have posted a sunset photo on Memorial Day weekend. Don’t you like a good tradition? 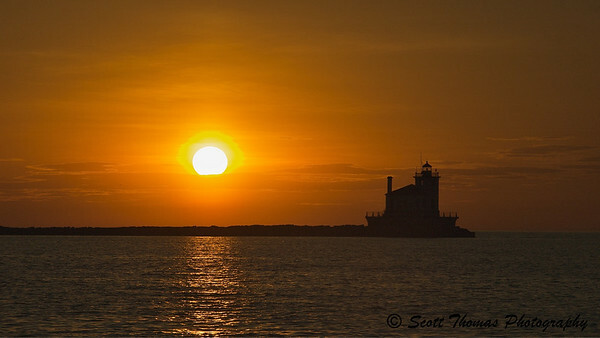 Oswego Harbor West Pierhead Lighthouse at sunset. I, again, used my Nikon D70 with Nikon 18-200VR lens at an exposure of 1/640s, f/16, ISO 200, EV -1.7, 135mm focal length. My hometown of Baldwinsville, New York has always celebrated Memorial Day with a parade on the traditional Memorial Day of May 30th and not the day used on the US calendar to make a three day weekend. Hope I explained that right. Anyway, yesterday I watched and photographed the parade and this boy was having such a great time I called out to him to get his photo and he gave me the thumbs up. 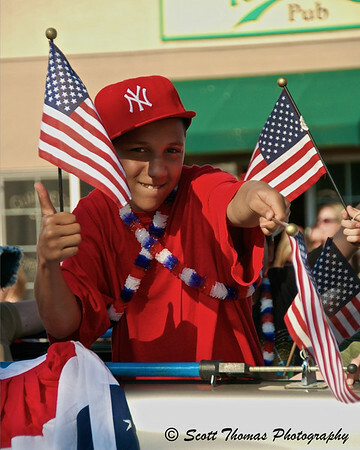 An All-American Boy giving me the thumbs up during the Baldwinsville, New York, Memorial Day parade on Sunday, May 30, 2010. Taken with the Nikon D70 and, you guessed it, the Nikon 18-200VR lens at 1/320s, f/6.3, ISO 200, EV +0.3, 105mm focal length. As you can see, I still feel the Nikon 18-200VR lens is my most versatile lens and creates sharp and colorful photographs. No doubt I will be using it today. 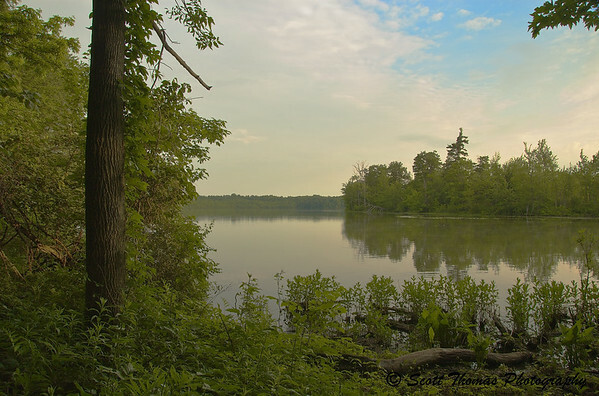 This entry was posted in Nature, People, Travel, Weekly View and tagged 18-200mm vr, baldwinsville, beaver lake nature center, boy, flags, harbor, lake, Lake Ontario, landscape, lighthouse, memorial day, new york, nikon D70, oswego, parade, Photography, sunset, water. Bookmark the permalink. What a beautiful post, Scott! Photo#1: I love the “feeling” of this photo. You say the weather was warm, but I still get a feeling of the coolness of dawn, before the heat of the day. Thank you, Nye. I might have to do a collage for May. Lots of good photos when I did get out. I love this lighthouse sunset shot! I also saw the cemetery shots you took; good ones as well. I love the sunset shot of the lighthouse, and the other shots from the cemetery as well. I knew you’d like the sunset photo. Nature put on a good show last Saturday. Same to you, Michaela! The flickr one has the light on (it wasn’t on yet when I took this one). Love these photos Scott. I especially like the second one as its such a beautiful sunset. Thank you, Consuelo! The sunset was beautiful that evening. I really like the photo of Beaver Lake and can relate to what it took to get the lighthouse shot (it was worth it!). Hope you had a great weekend! Sounds (and looks) like you had a very nice weekend! As for the skunk, you shouldn’t have worried…they are pretty much blind and are more afraid of us than we are of them. They give fair warnings before spraying. (I’m speaking of striped skunks..spotted skunks are a whole other story…). I had a really nice weekend. More photos to come. I wasn’t too worried as he went about his foraging and I gave him plenty of space. Will make a mental note of the spotted variety if I ever travel in their range.